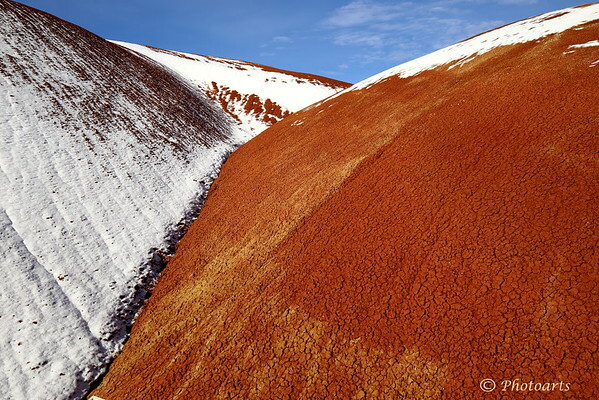 Geological processes going back millions of years created these rust color hills made of bentonite clay, unique to this part of Oregon's Painted Hills National Monument. Spectacular abstract on a sunny winter day with blue skies and a light dusting of snow! Excellent! Great contrast of color and texture. Very effective with blocks of color, mostly triangles. Super contrast, color and texture! Superb contrast of colors & textures.